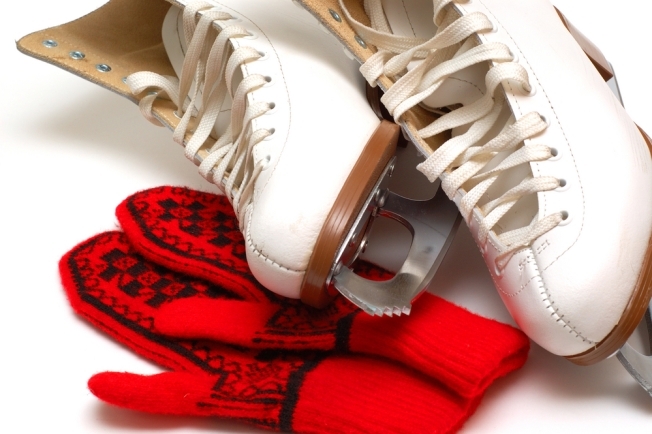 Find romance at the rink when speed dating arrives in Culver City on Tuesday, Dec. 18. Speed dating? If you've done it, you likely have stories. Perhaps we should even put that in italics: stories. You have a story about the guy who nervously checked his phone the whole seven minutes you were together, or the woman told the same joke twice. Or you come away having met your perfect match. But taking speed dating out of the bars and putting it in the great outdoors is something that doesn't happen too often. Sticking the whole to-do on an ice rink is kind of genius. You see what a potential mate is made of, out on the ice. Do they help you not fall? Do they brag about their skating prowess, only to flub it? Do you two laugh the whole time? The Holiday Ice Rink at Culver City is going to try just that on Tuesday, Dec. 18. Speed daters and people wanting to test the water -- frozen water, that is -- on the love front can sign up to take some spins around the seasonal attraction. Complimentary mistletoe headbands will be handed out to the first 50 looking-for-lovers who show. You'll totally hang onto that, right, to show your kids? When you meet a great person also wearing the same headband? Christmas magic. Speed dating hours are 7 to 8 p.m., so it is hardly a time commitment to stress about. Figure you'll get some exercise, some fresh air, and maybe a new honey. That, friends, is the holiday spirit at work. Oh, and bravo, Holiday Ice Rink, for so cagily employing the term "break the ice" and "falling" for a new love. Here's hoping lovers out on the rink will think up more analogies for finding a sweetheart on skates.